With a coachbuilding resume dating all the way back to 1919, Zagato has designed and produced many of the most striking and sought-after vehicles the world has ever seen. Ugo Zagato, as pictured above, established his coachbuilding business in Milan, Italy with the intent of applying sophisticated construction techniques from the aeronautical sector to automobiles. Cars of the 1910s and 1920s were big and heavy; Ugo Zagato aimed to emphasize lightness in order to improve driveability and performance. In doing so, his influence initiated a change of direction for the more performance-oriented portion of the automotive sector. Ugo Zagato’s foray into racing cars began in the early 1920s, when he was asked by Alfa Romeo’s Chief Engineer to create a sleek and lightweight body for the Alfa 6C racing car. Zagato’s work was more than satisfactory; the 6C Zagato scored second place overall at the very first running of the now-legendary Mille Miglia in 1927, then took three consecutive first place finishes in 1928, 1929, and 1930. 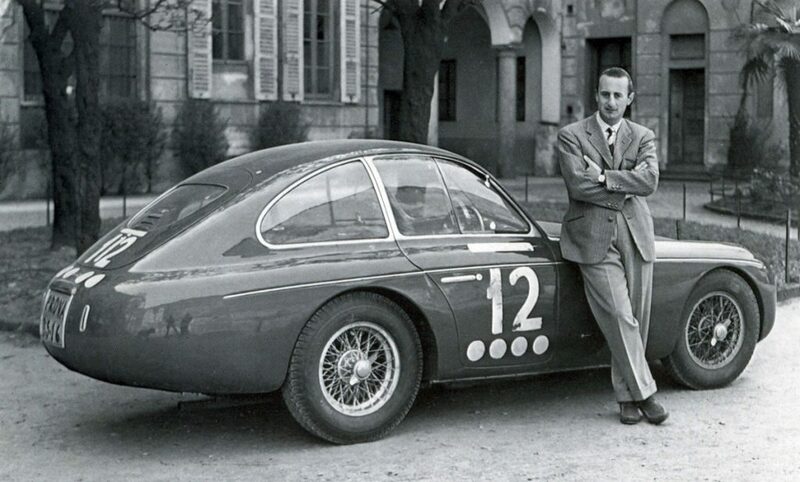 Ugo Zagato’s genius had been recognized and rewarded; by 1938, 36 of the roughly 140 Mille Miglia total entrants were Zagato-bodied cars. Fast forward a decade to the late 1940s, and Ugo’s first-born son Elio was coming of age. Having done quite well as a weekend racer and shown promise as a designer working alongside his father, Elio gained respect as a manager of the family business. 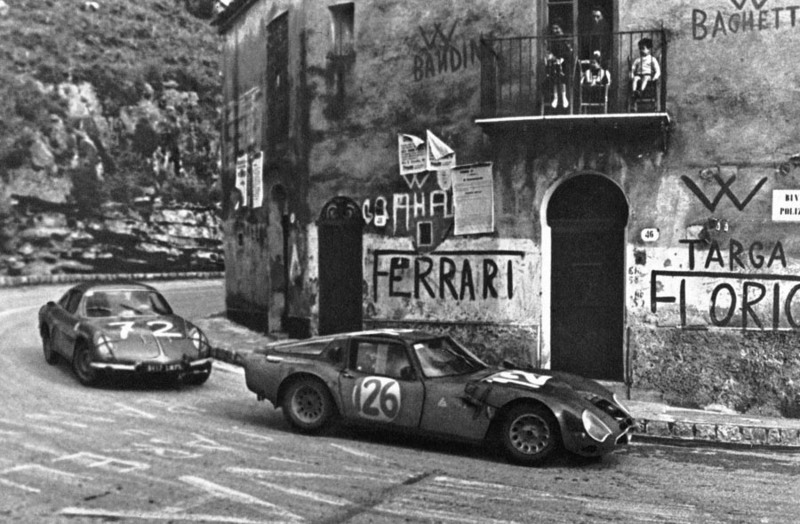 Elio left his mark on the automotive world in more ways than one; not only was he a designer and racing driver, he had a heavy hand in the birth of the Grand Turismo (GT) racing category. The GT racing series comprised of production-car based racing specials of which at least thirty examples must be built. As the cars had to be based on a standard production chassis, they were practical enough to be used for everyday purposes while still able to be competitive at the racetrack on weekends. Zagato’s designs were plentiful in 1950s and 1960s GT racing; entrants from AC, Alfa Romeo, Abarth, Aston Martin, Bristol, Ferrari, Fiat, Maserati, Jaguar, and Osca all wore Zagato bodywork. While they have continued to do tremendous work to this day, now under the leadership of Elio’s son Andrea, Zagato is best known for their early GT sports and racing cars, many of which are considered to be some of the most desirable automobiles in existence. While the overwhelming majority of Zagato’s creations are stunning and deserving of recognition, the following five vehicles are some of, in my personal opinion, Zagato’s finest. 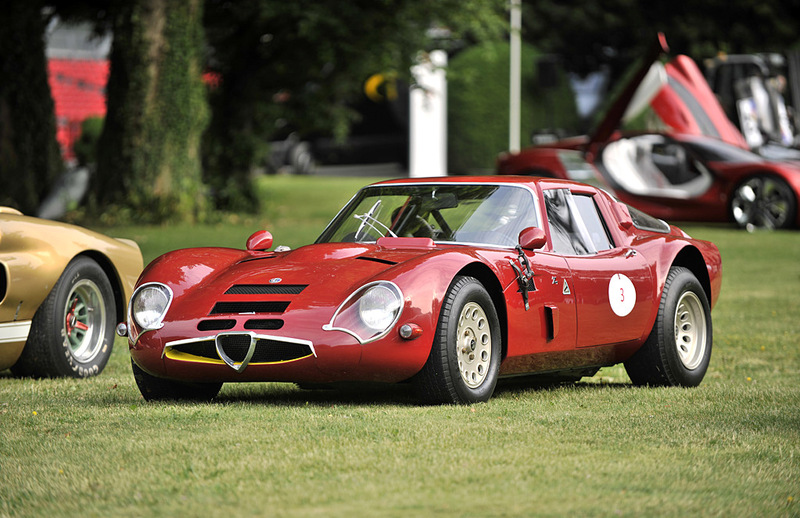 The original TZ, which debuted in 1963, was designed by Zagato and developed by Alfa Romeo in conjunction with Autodelta, a company led by an ex-Ferrari engineer. While it was technically a road car, the TZ was designed with on-track performance in mind. The small coupé weighed only 1,430lbs and had disc brakes, independent suspension, and bodywork formulated by aircraft-inspired aerodynamic principles. Only 112 of these original TZs were built between 1963 and 1965; in 1965 the car was updated with new fiberglass bodywork, penned by Zagato. This new TZ2 was never made available to the public; it was built strictly as a racing car and only for one year. The 170hp TZ2 was capable of over 150mph, and saw endurance-racing success in 1965 and 1966 with impressive performances at Monza, Sebring, Nürburgring, and the Targa Florio. The Alfa Romeo 1900 was built in a number of different versions. There was a two-door and four-door, the Berlina and the Sprint, as well as the Super and Super Sprint. Iginio Alessio, then general manager of Alfa Romeo, was concerned that the rising popularity of the unibody chassis design was going to run independent Italian coachbuilders out of business, as Alessio was close friends with one of the owners of Carrozzeria Touring Superleggera, a small independent coachbuilder. Alfa Romeo then built five different variations of the 1900 unibody chassis specifically for independent coachbuilders to put their spin on. Of all the varieties, the 1900SS Zagato is unquestionably the most desirable. 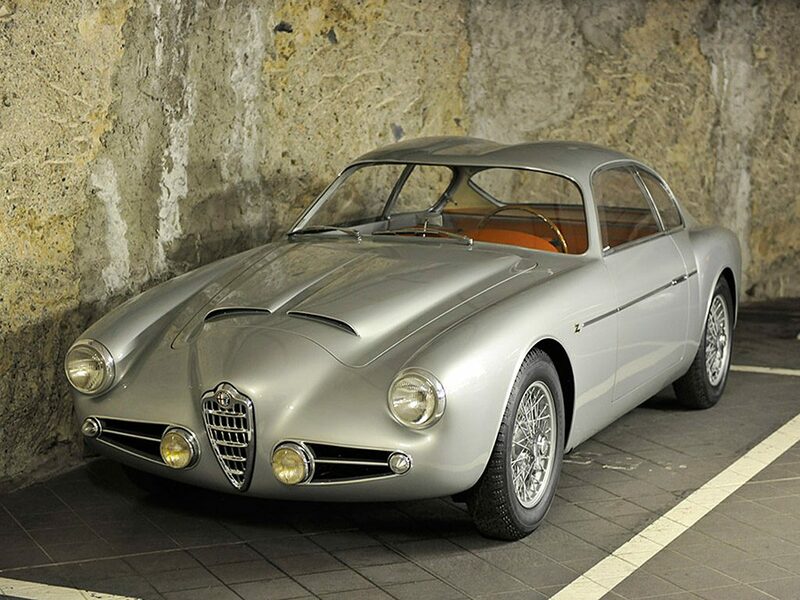 The car featured Alfa Romeo’s most powerful 1900 in the Super Sport, dressed with Zagato’s lightweight and aerodynamic aluminum body. Only 39 of these racing coupés were ever built. Perhaps the most widely-recognized of Zagato’s work is the DB4GT Zagato, first introduced in 1960. 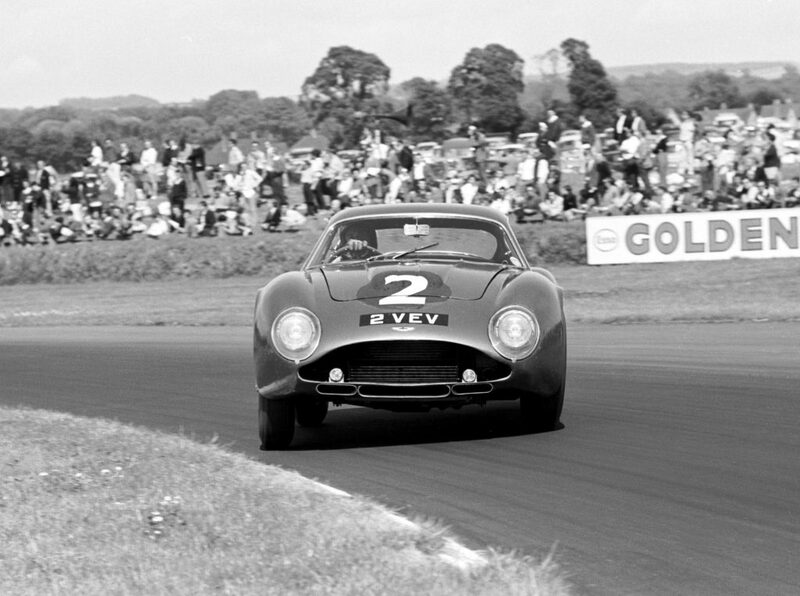 The very first competition outing of the DB4GT Zagato was at Goodwood in 1961, where the car took a third-place finish at the hands of the great Sir Stirling Moss. The DB4GT Zagato scored its first victory soon after, overtaking the leading Jaguar E-Type on the final lap of a 1961 British Grand Prix support race to win in dramatic fashion. As only 20 units of this iconic GT car were produced, these cars rarely trade hands. When they do, they create quite a stir in the automotive community. 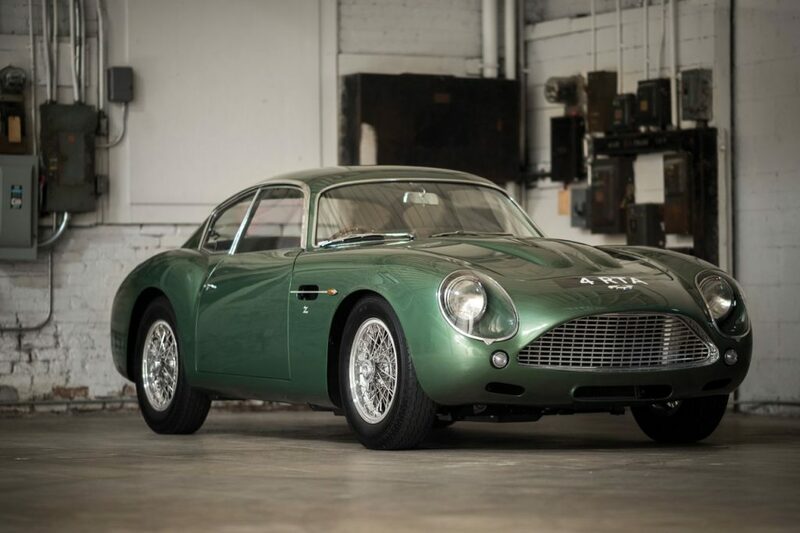 The most recent DB4GT Zagato to cross the auction block was sold by RM Sotheby’s in December of 2015; that ‘62 example commanded a $14.3M price tag. 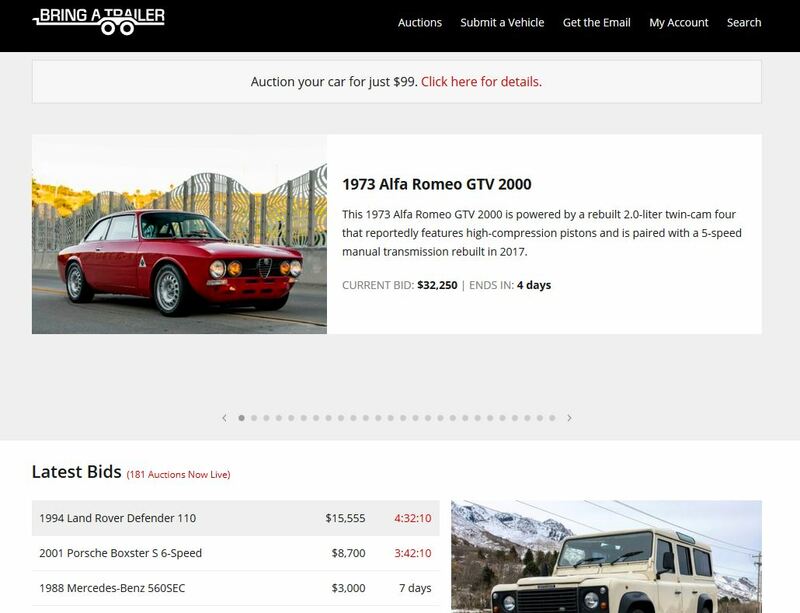 Prior to that sale, it had been nearly a decade since a DB4GT Zagato had come up for sale. 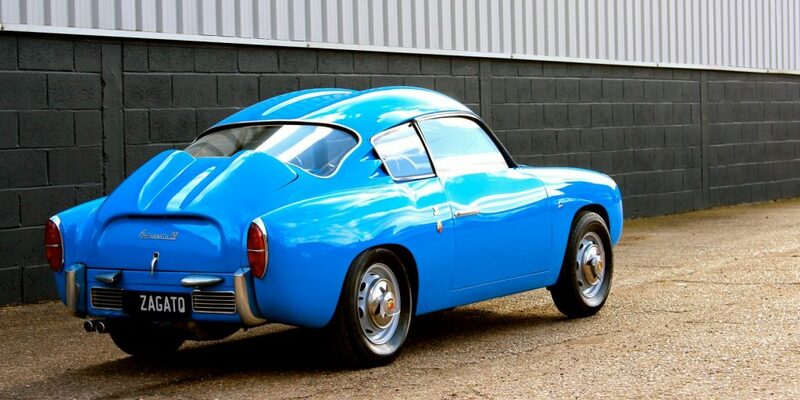 First shown at the 1956 Geneva Motor Show, the Fiat Abarth 750 Zagato was designed as a purpose-built racing car. 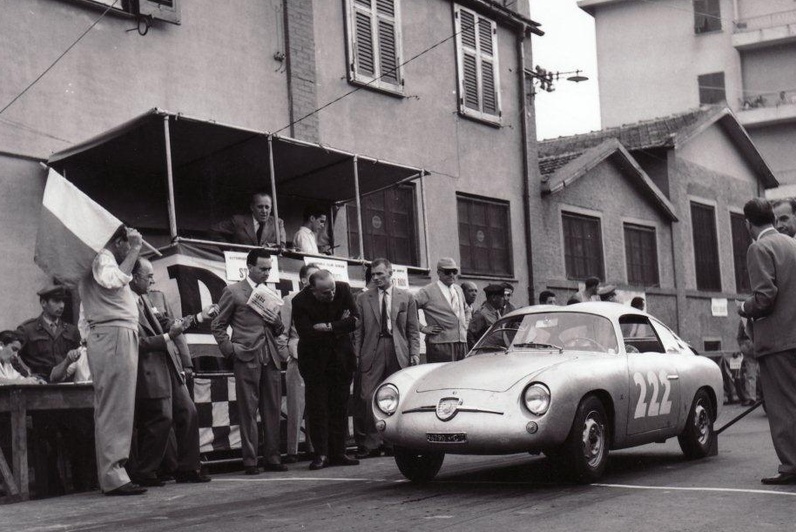 Abarth, then a well-established tuner of Fiat engines, commissioned Zagato to rebody the Fiat 600 to turn it into a lightweight, slippery racing car for entry in the 750cc GT Championship. 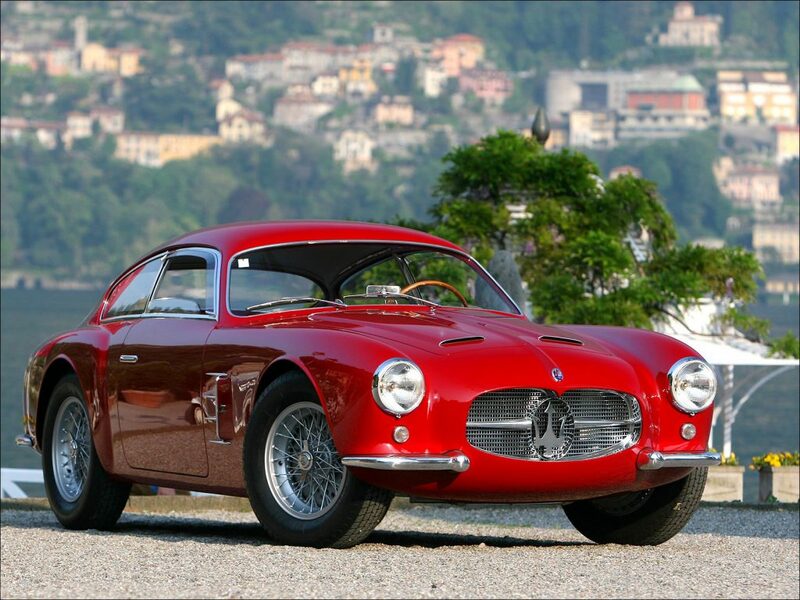 Thanks to Zagato’s weight-saving prowess, the earliest cars weighed only 1179lbs. 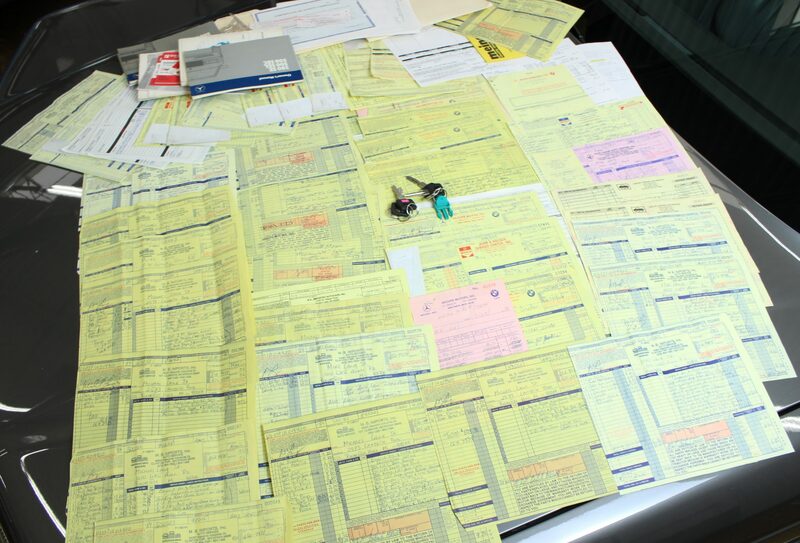 While these cars only produced 47hp, they proved very capable. 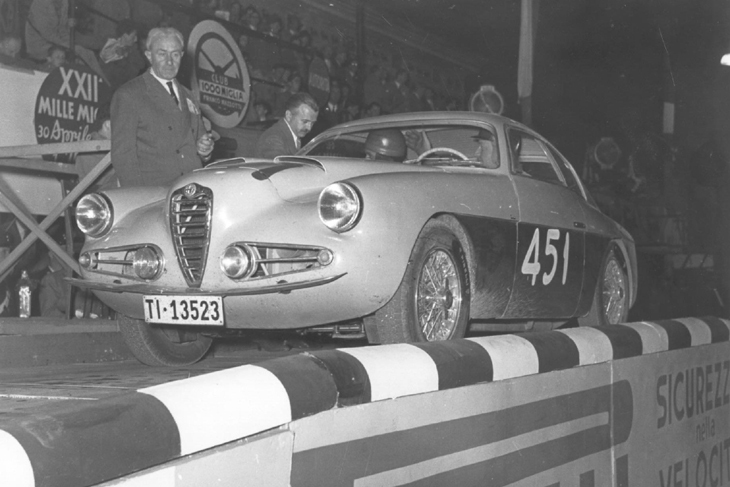 One of the earliest prototypes was entered in the 1956 Mille Miglia, placing second in its class. 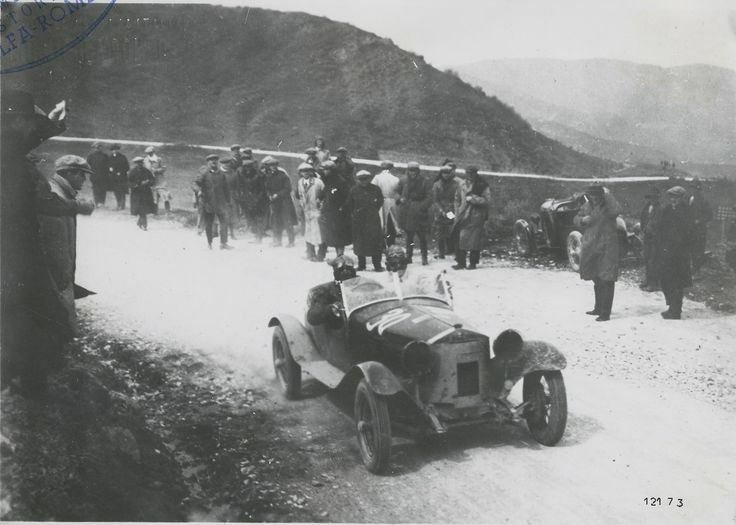 The following year, five 750 Zagatos finished the 1000km Mille Miglia, one of which won the 750cc class. The 750 Zagato boldly exemplifies what went on to become Zagato’s hallmark styling cue, the “double-bubble” roof. Zagato’s bodywork is clearly inspired by the pursuit of speed and is the perfect example of form following function; the “double-bubble” roof was designed to keep the car’s roof line low, minimizing drag and providing headroom for the driver and co-driver, who would both be wearing helmets. 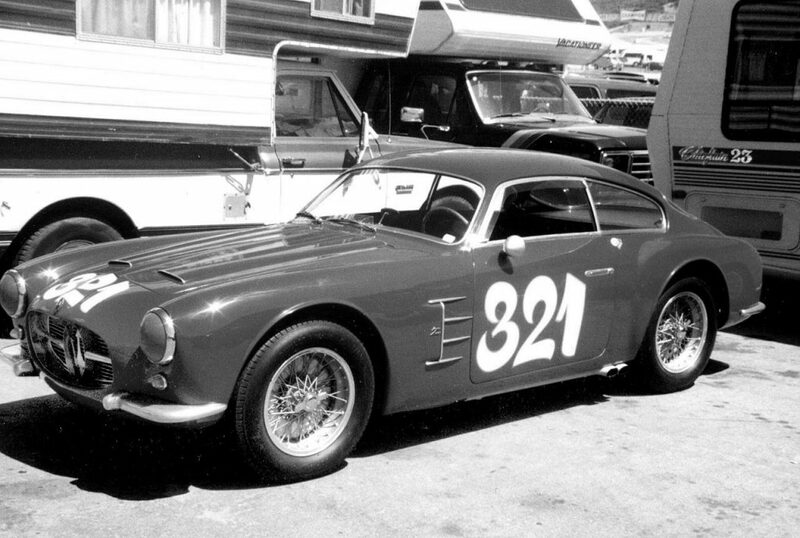 When it debuted in 1956, the A6GS Zagato was the ideal gentleman racer car; it was great on the road, had serious curb appeal, and could compete at a high level on the weekend. While it’s best known for it’s sharp looks, the A6GS Zagato was no slouch. The Colombo-developed straight-6 could propel the A6GS Zagato to over 130mph, a seriously impressive figure for a road car in the mid-1950s. Unfortunately for us, these cars are few and far between; Zagato only built 19 of these perfectly-proportioned lightweight coupés.